My partner loves chess and when he asked me to play I said I’d be willing to try, but that backgammon is my game. Chess seems too complicated – too many things to keep track of and too many possibilities. I like the mix of math, chance and skill that backgammon requires. And it plays out quickly. However, I really like this guy so I sat down with him and he explained the name of each piece and where it could move. It was tedious and I was still resistant. I kept forgetting the names of the pieces and how they moved, much less getting to a point of developing any strategies or having fun. Chess quickly became an addiction. I’d stay up late and play game after game until I finally won one. And then 3. And then I changed the settings on the computer so I could shift my level of learning. And this is how I see myogafreedom.com, my online yoga school. It’s a way to systematically learn how to practice yoga by yourself. After all, you can find anything and everything Yoga out there in the wild world of the web. Which is brilliant. But it can also be overwhelming. How and where do you start to learn (or progress) your yoga – your self-practice? I answered this question by creating an online yoga school that is progressive, just like learning chess against the computer. MYOGA Freedom Online Yoga School provides a clear structure and foundation for your self-practice to unfold, allowing self-inquiry to blossom even without a live teacher. You can’t release your shoulders until you know you’re clenching them in the first place. When we go to class, a teacher may point this out to us. When we practice at home, we need intelligent, well-structured sequences and clear instruction that help us to wake up to our own tendencies – like clenching our shoulders. And isn’t the point of this particular yoga-game, to wake up to who you really are? And this is one great advantage of self-practice – by practicing alone you develop your self-inquiry and discernment without worrying about what other students in the room are doing. My approach to creating an online yoga school was to create a platform where people could access virtually everything I know and have gathered about yoga in my 15 years of teaching others and my 20+ years of self-practice. That means I strongly emphasize the foundations of yoga – called the MYOGA Basics. The Basics are like brushing your teeth – you don’t need fancy ways of doing it. You just need to do it regularly. For example, I’d love to see more people remembering their animal natures—for the sake of their poor bodies—by stretching each time they get up from a bed, chair or car. Not just on Tuesdays at 5:30. When we commit to self-practice, our yoga becomes something that we’re always doing, whether on the mat or off, whether for 90 minutes or 90 seconds. I also put great emphasis on trusting the longer journey by committing to the practice over time. MYOGA Seasons supports you in surfing through the seasons of the year and through the energy centers within you, the chakras, over a full year of practice. In this way, yoga practice becomes less about achieving certain asana and more about taking care of yourSelf – taking responsibility for your precious person by getting to know it. Through MYOGA Freedom you’ll release the tensions that constrict blood and energy flow in your body. You’ll strengthen the areas that can more readily support you, like legs and core. You’ll learn to breathe into each moment, whatever its flavor. Plus, I offer you a guide for your process of inquiry, as well as an online community and conversations around each practice. Most importantly, I offer support in trusting the longer journey – in developing your love affair with yourSelf. Call it a process for progressing from Pawn to Queen. Just like me with chess – you might feel like self-practice is too much to take on yourself. But it’s never too late to learn a new game and it may simply be a matter of breaking it down into smaller chunks that you can more fully integrate and find victory in. That’s what MYOGA Freedom is all about. Plus the practices are designed to strengthen your vision, sharpen your ingenuity within constraints, create new pathways in your brain and develop abilities you may have never known you had—like staying calm in tight situations, feeling centred in the midst of mayhem, being so strong you are willing to feel the precariousness of life without armouring and learning to lighten life through laughter. 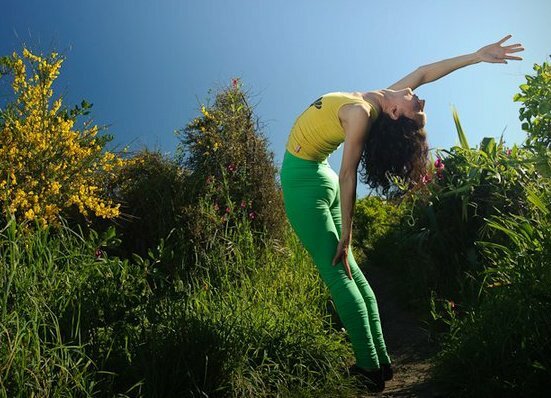 Or, put more simply, through MYOGA Freedom you can breathe freely, move freely, be free. You have freedom to unfold. Click here for a FREE 35 minute practice from the MYOGA Online School.